I’ve now covered the guest acting and comedy acting awards, time to move on to the drama awards. I pretty much watch all the dramas that matter besides Treme and Fringe, but the Academy went ahead and nominated some people from shows that don’t (or no longer) matter as well. Those include actors from Dexter, House, Law & Order: Special Victims Unit, Harry’s Law, and The Killing (which I believe I saw four episodes of). So while it’s possible those performers are doing bang-up jobs on shows I don’t want to watch, you won’t see them nominated here. Read on to see who you will see nominated, and who would win in a perfect world. Yes, my definition of a perfect world is one where I am the sole authority on arbitrary media awards. The Oscar nominations for 2008 were announced today (posted here). 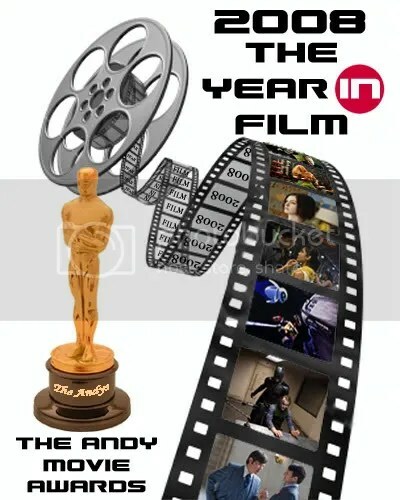 As always, my more complete thoughts on what were the year’s best will appear in both my year-end top ten movies list (which looks to be pushed back to early February this year) and the Andy Movie Awards, which should appear the week of the ceremony. But I thought I’d get some initial reaction on what the Academy snubbed, what they foolishly recognized, and what I have yet to see in my annual, catch-up-on-Oscars viewing checklist.